All of our 120 guestrooms feature separate living spaces with a swiveling 42’ flat-screen TV that is viewed in both the bed and seating areas. 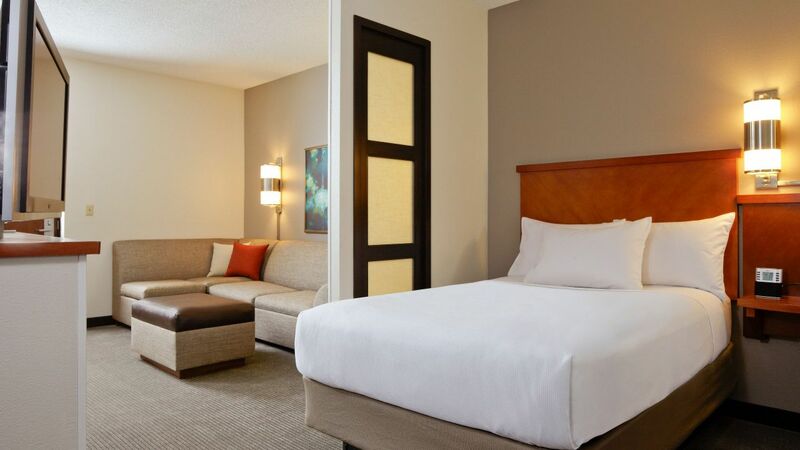 Sink into the plush Hyatt Grand Bed™, or relax on our Cozy Corner sofa-sleeper while you catch up on your favorite shows. Enjoy both vanity areas that include a large well-lit mirror, plugs, sink, and more. Perfect for when you’re traveling with others. Retreat to a king-bedded guestroom located on the highest floor, equipped with a Cozy Corner and sofa-sleeper, and separate workspace amid 350 square feet. 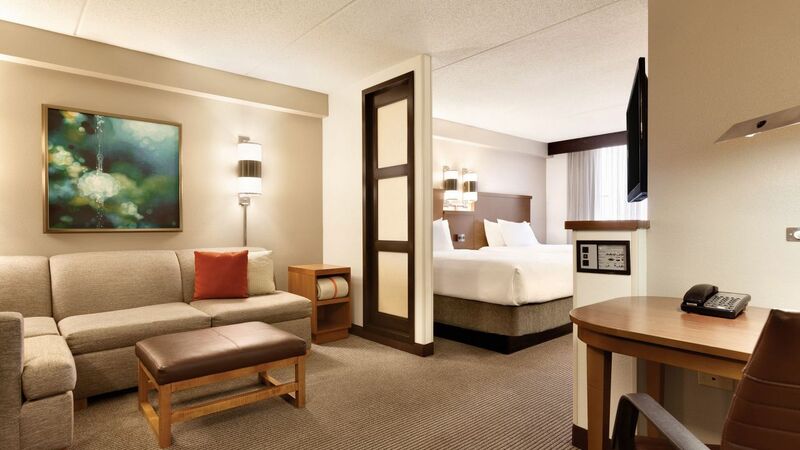 Unwind within this spacious 350-square-foot guestroom, outfitted with one king Hyatt Grand Bed™, Cozy Corner with sofa-sleeper, and a roomy workspace. 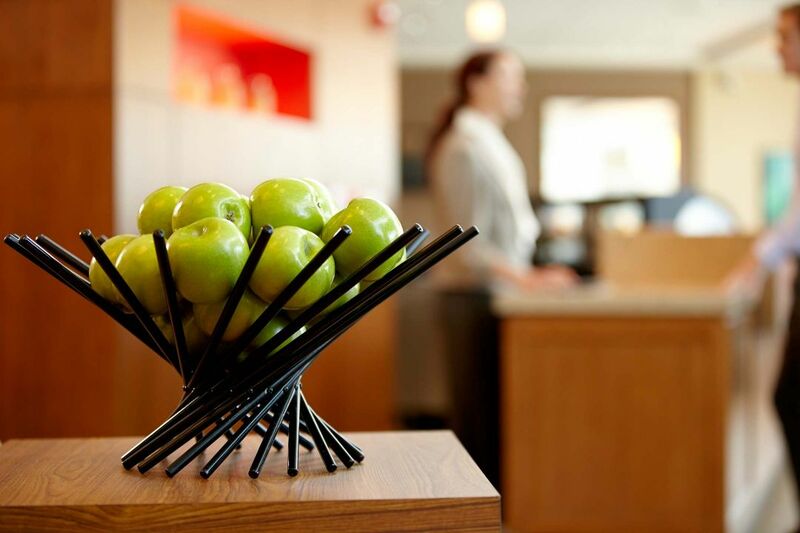 Rest on the highest floor in your 350-square-foot guestroom, equipped with two double Hyatt Grand Beds™, a Cozy Corner with sofa-sleeper, and two vanity areas. 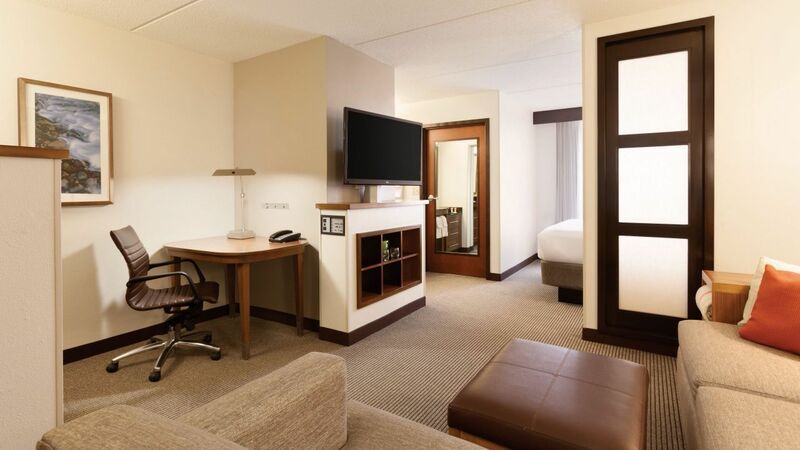 Spread out within this spacious 350-square-foot guestroom, outfitted with two double Hyatt Grand Beds™, a Cozy Corner with sofa-sleeper, and two vanity areas. 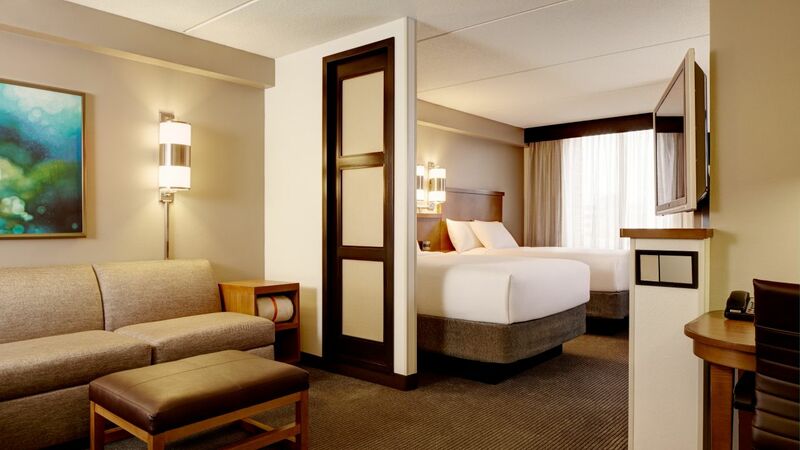 Feel at home within this cozy guestroom with a bathtub, one king Hyatt Grand Bed™, Cozy Corner with sofa-sleeper, and separate workspace amid 350 square feet. Your accessible king-bedded room features a roll-in shower, Cozy Corner with sofa-sleeper, and separate workspace, all set within 350 square feet of space.